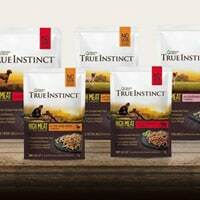 True Instinct in is giving away free packs of their cat and dog food so make sure to get one if you own a cat or a dog. Follow our link, click Signup button and then supply them with your postal details to receive yours. Click on “GET IT HERE” button and then follow instructions given above to get this pet food pack for free.